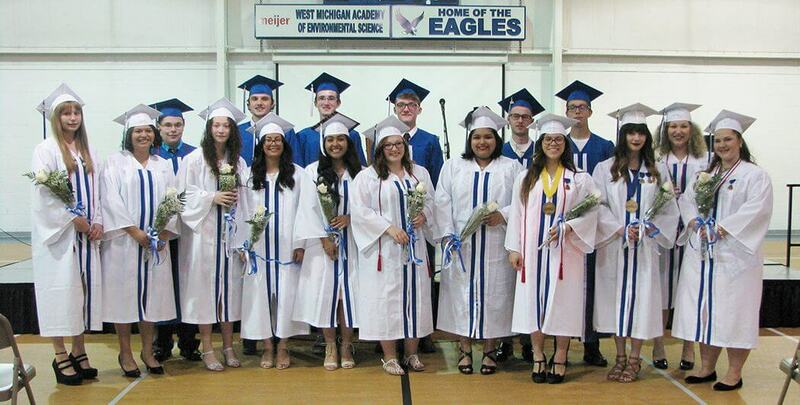 Seventeen Seniors bid adieu to West Michigan Academy of Environmental Science on June 2, 2016. As they walked through the doors for the last time, they took their hopes, dreams, and plans for the future with them. Their aspirations range from art and business to veterinary studies. 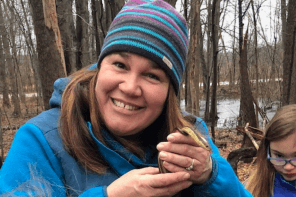 Some of these graduates are starting at Grand Rapids Community College, while others will journey farther from home to schools like Northern Michigan University and Colorado Mountain College. Nearly 65% of those attending college in the fall are receiving scholarships to the following schools: Adrian College, Aquinas College,Baker College, Calvin College, Grace College, Grand Rapids Community College, Grand Valley State University, Northern Michigan University, Northwestern College, Olivet College, and University of Detroit Mercy. 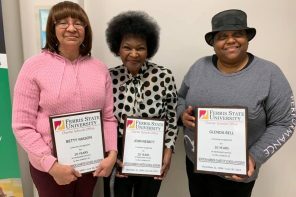 These awards include the Honors Award, Award for Excellence, the Pre-law Program Scholarship, Presidential Leader Award, Academic Achievement Award, and the Board of Regents Scholarship. 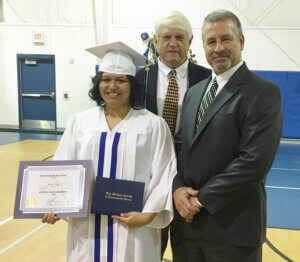 WMAES Senior Maria Ortiz was presented with the Choice Schools Associates American Dream Scholarship by CSA Founder, Dr. Sid Faucette, and WMAES Principal, Scott Morgan. 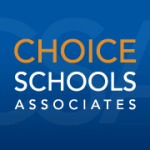 WMAES Senior Maria Ortiz was the recipient of the Choice Schools Associates American Dream Scholarship. Maria has not only worked hard throughout her high school career, but she consistently puts others before herself, especially when it comes to taking care of her family. In circumstances where many people could easily get discouraged and become bitter, she has risen above and persevered. Maria will be the first in her family to attend college. 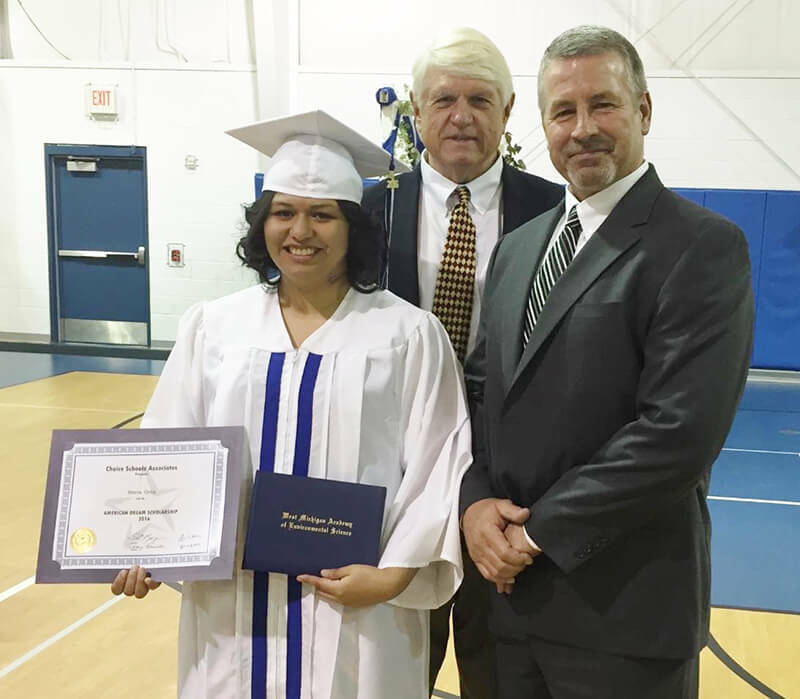 Her generous attitude beamed in her essay where she stated, “This scholarship would really benefit not only me, but my family, too.” Maria will use the scholarship money to pursue a career in social work at Grand Valley State University. Congratulations, Class of 2016! We know you will make WMAES proud!